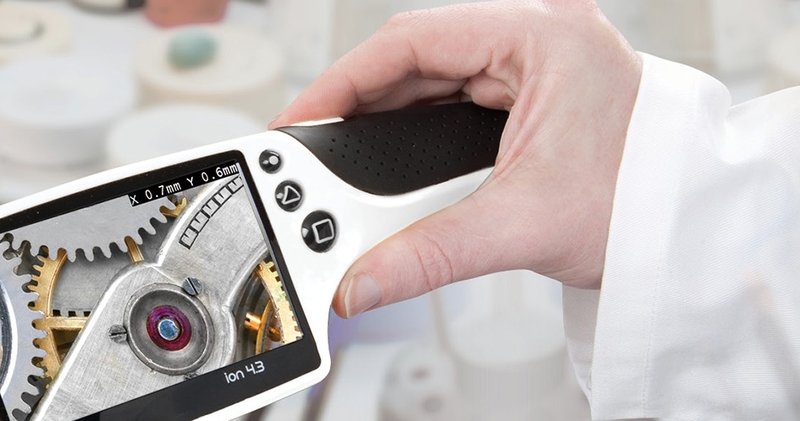 The Ion is comfortable to hold and highly intuitive to use as the product has been designed to replicate the look and feel of an optical magnifier. 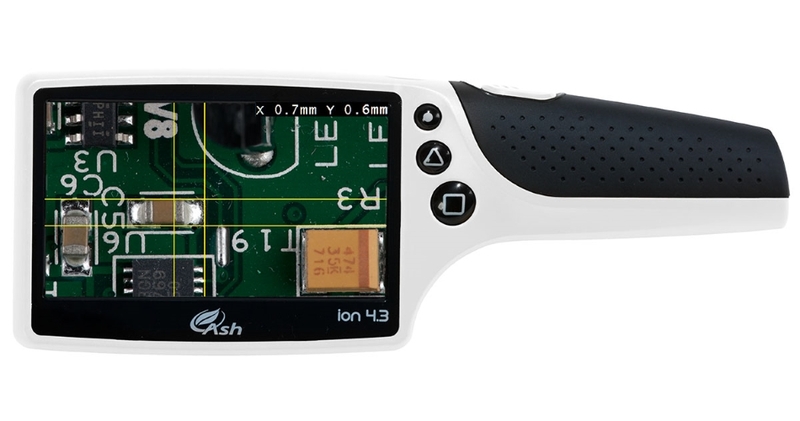 The Ion’s display delivers an unrivalled sharp, bright and high contrast image. 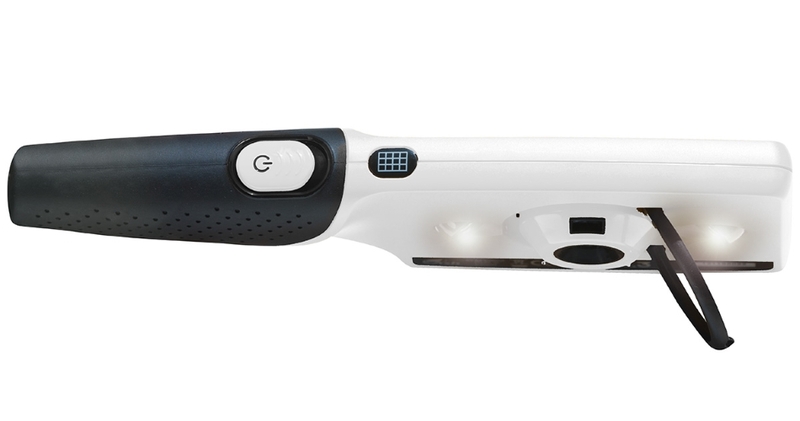 Integrated LED lighting and ergonomic design allow Ion to be used in awkward low light areas. 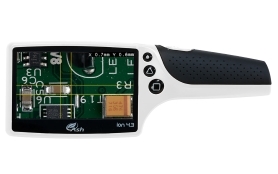 Its unique patent applied for dimensioning grids and cursors enhance the capability and efficiency of decision making for inspection operators and technicians. 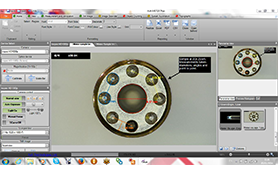 Integrated, real time, on screen measuring grids and cursors provide a simple and effective way to measure without a PC. 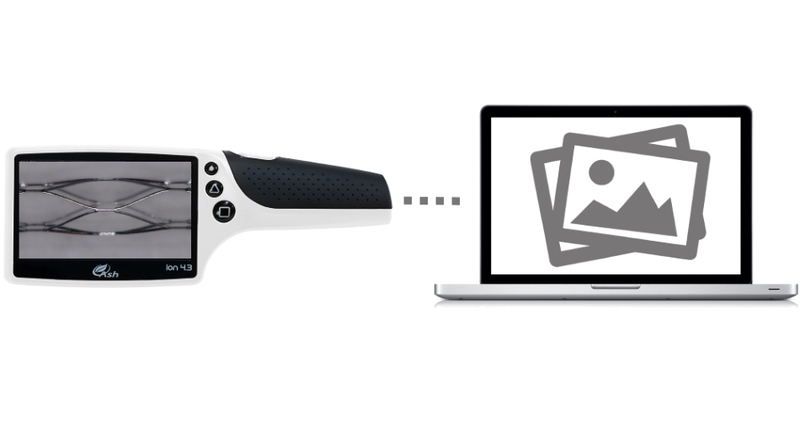 Capture and store up to 100 images in Ion’s internal memory. 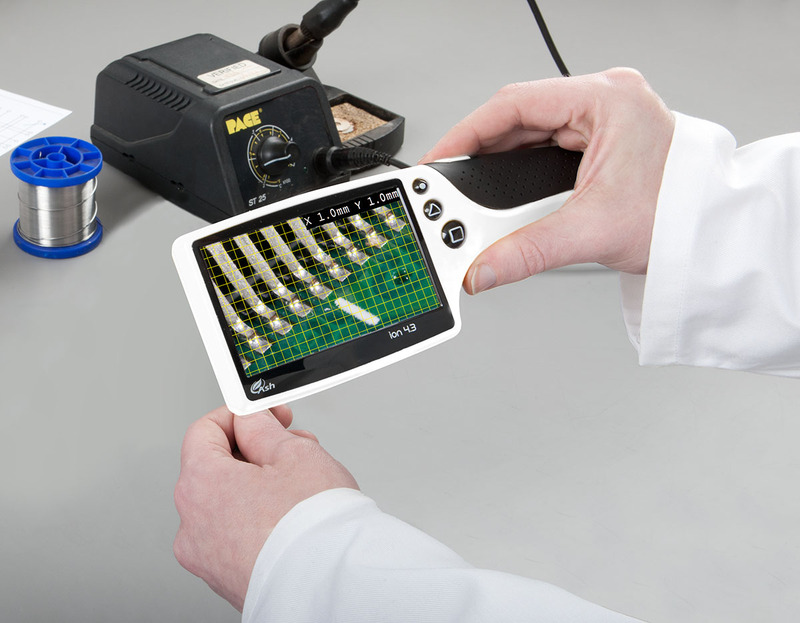 Easy documentation & traceability for accurate quality control records using image capture. Images can be exported to PC via the micro USB port. 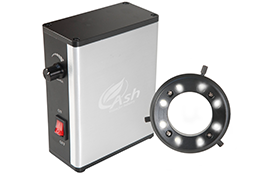 Powerful integrated LED lighting provides sharp imaging in all lighting conditions. 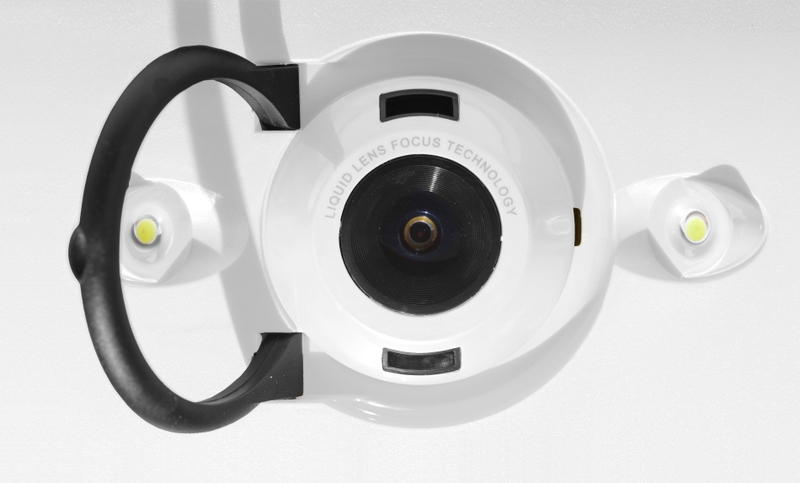 LED’s are positioned strategically to provide optimal image quality. Ergonomically positioned buttons for single handed access to all functions. 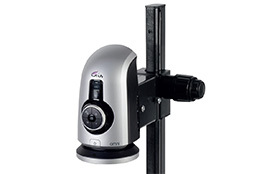 Provides a wide focus range, fast response time, excellent optical quality & lower power consumption. The Ion has two optical focus positions, near and far. 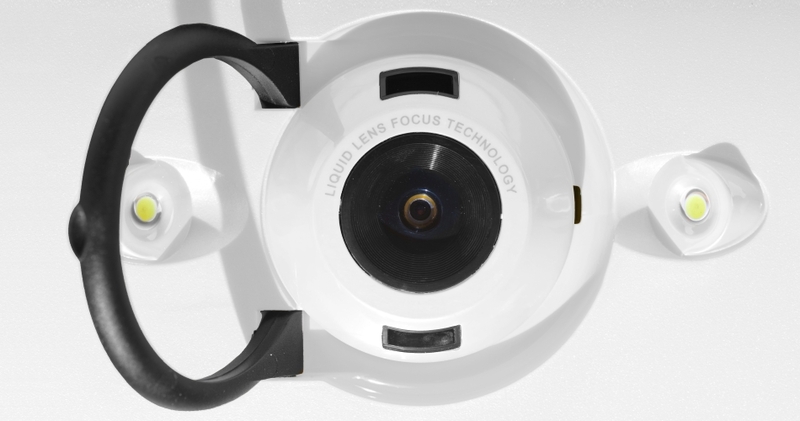 Each focus position has three different magnification positions.